With Thrift Store Halos due out August 7, ¡MAYDAY! was recently spotted on set of their new music video in support of the EP. The Miami collective shot scenes for the music video inside their new studio space known as The Armory. 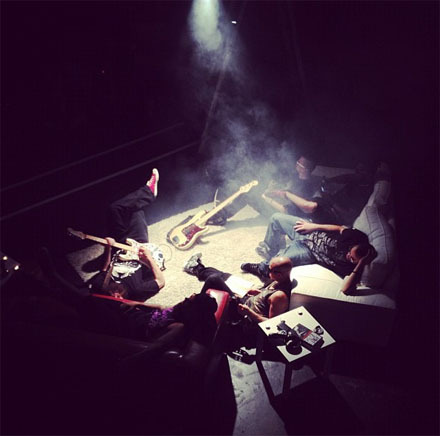 Several behind the scenes photos made their way online during the shoot, showcasing the unique visuals the fans have come to expect from ¡MAYDAY! The Thrift Store Halos EP will mark ¡MAYDAY!’s second release in 2012, coming just off the heels of Take Me To Your Leader. Always full of surprises, the baddest band on the planet looks to deliver another slick visual. 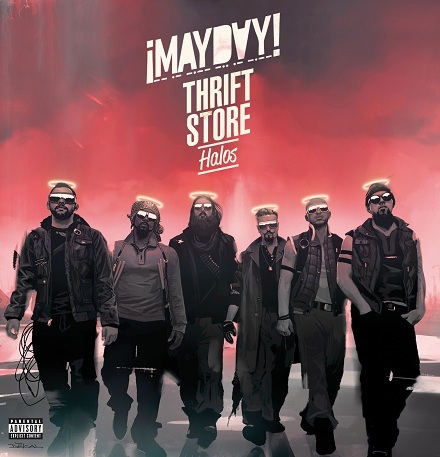 CLICK HERE TO PRE-ORDER ¡MAYDAY!’S THRIFT STORE HALOS EP. Are you excited for the new ¡MAYDAY! video?